Samba Palace has shared and private rooms for all tastes! All rooms have split air conditioner, really comfortable mattresses and beds with exclusive design, besides the very nice comfortable pillows! Male and female bathrooms, individual toilets, 24hs hot showers. Fully equipped kitchen; with nice modern refrigerator, stove, microwave and toaster. Laundry service and common area where guests can wash their own clothes. TV, games room with modern video games and chill out area. 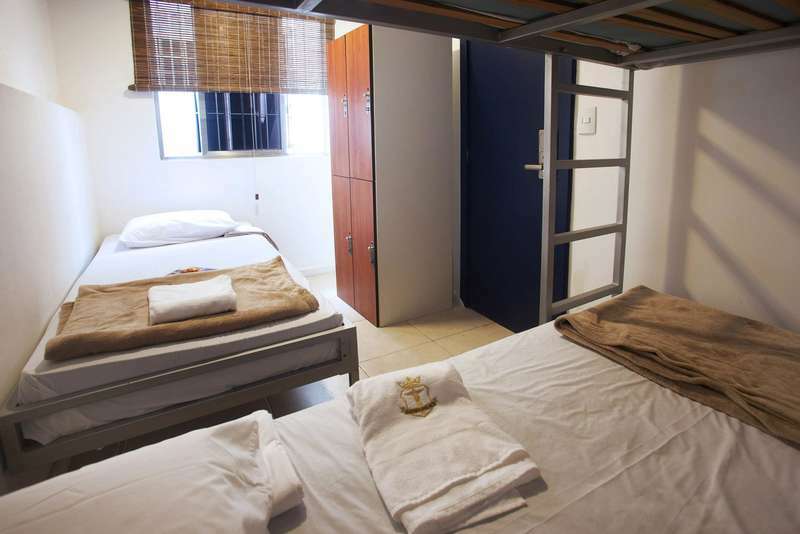 Samba Palace Hostel is located in Laranjeiras, an excellent central spot for those who intend to explore Rio and not just the beaches. It has plenty of stores, banks, drugstores, bakeries, night clubs and restaurants. We are the closest Hostel to the Christ the Redeemer statue (Corcovado), you can easily walk to the gondola ascent of the statue! It is 20 minutes by bus from Copacabana, Ipanema, Leblon and at the same time not far from the famous Lapa night life. It is 15 min walking distance from the subway, there you can easily go to Copacabana or Ipanema in 15 minutes or downtown where Lapa is located , 10 minutes away. If the reservation is canceled between 29 and 15 days before the check in, 50% of the money deposited will be returned. For special dates such as Olympic Games, Carnival And New Years 100% of non-refundable payment is required in advance upon your booking. Accommodation for shared dorms are only allowed for 18+ years guests. In private rooms, only with the authorization or presence of the responsible. * Half of the daily rate will be charged for late check out between 11:00 AM and 2:00 PM. After 2:00 PM a full daily rate will be charged. The hostel has luggage storage. * We do not accept guests under 18 years old.